What’s New in Disney’s Animal Kingdom: Menu and Merchandise Updates, PLUS DuckTales! 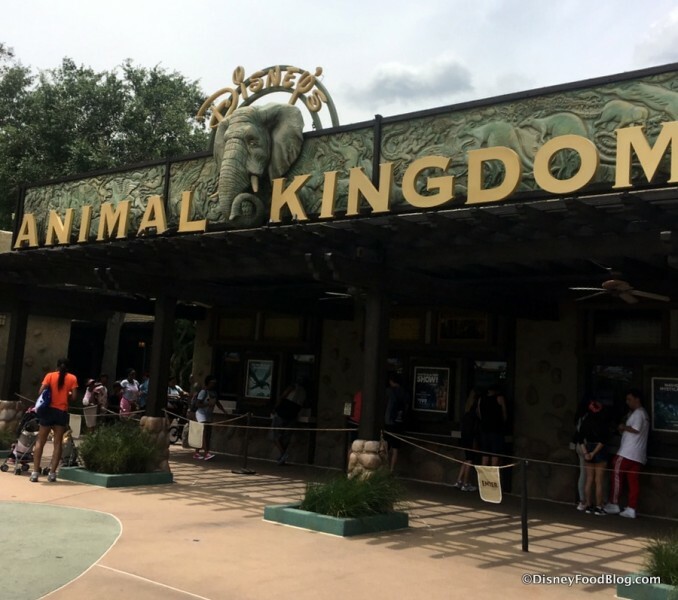 If you’re looking for that adorable Simba Cupcake while you’re in Animal Kingdom, your best bet is to head to Pizzafari since it is no longer in the Creature Comforts bakery case. 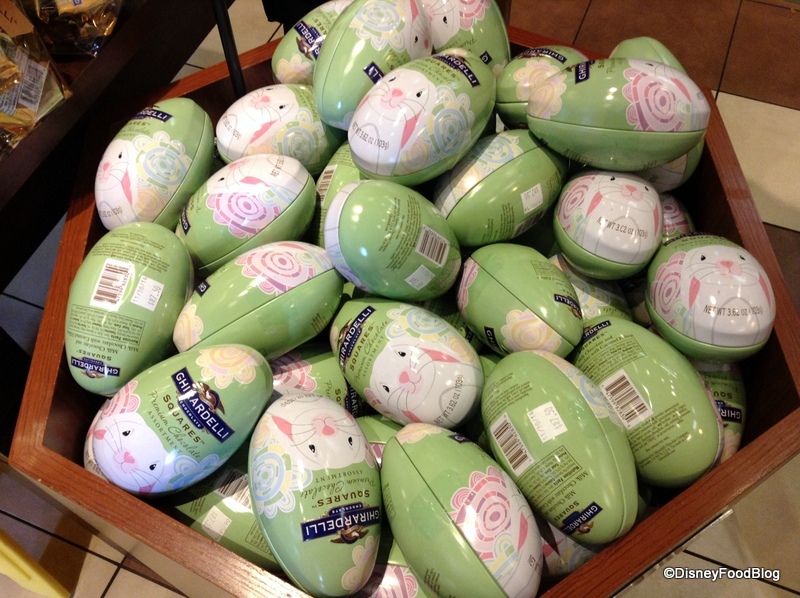 We did spot the Caramel Mocha and the Lotus Blossom cupcake in the lineup though! 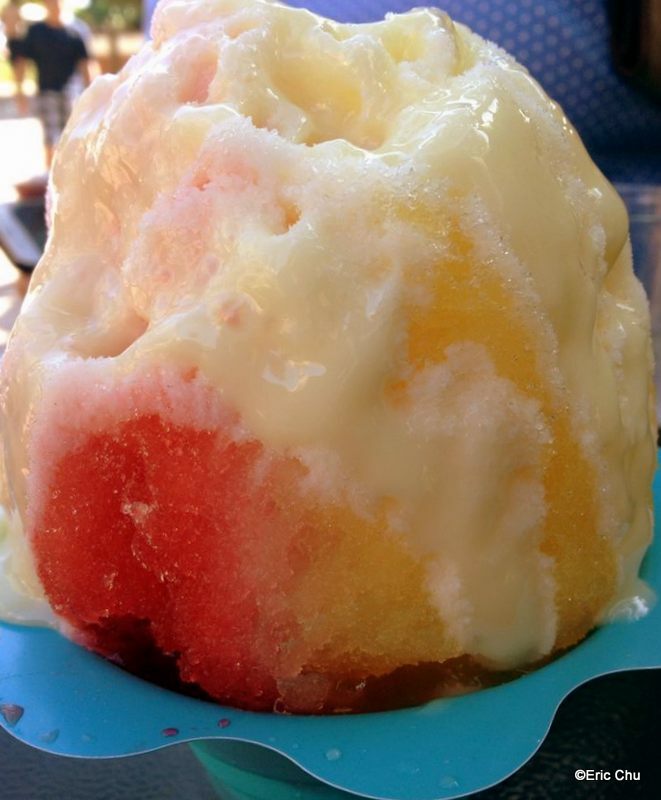 Aloha from Okalani’s Shave Ice! 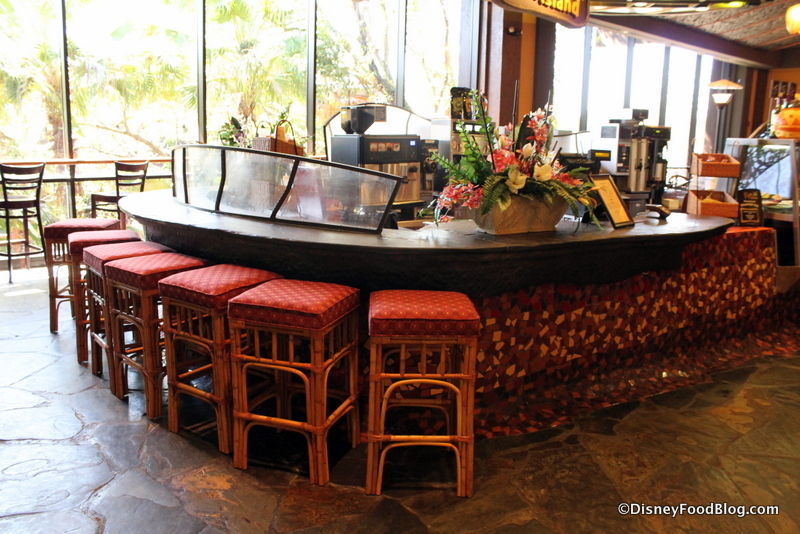 This cute little kiosk at Disney’s Polynesian Village Resort takes a keen eye to find, but it’s worth the tiny trek. 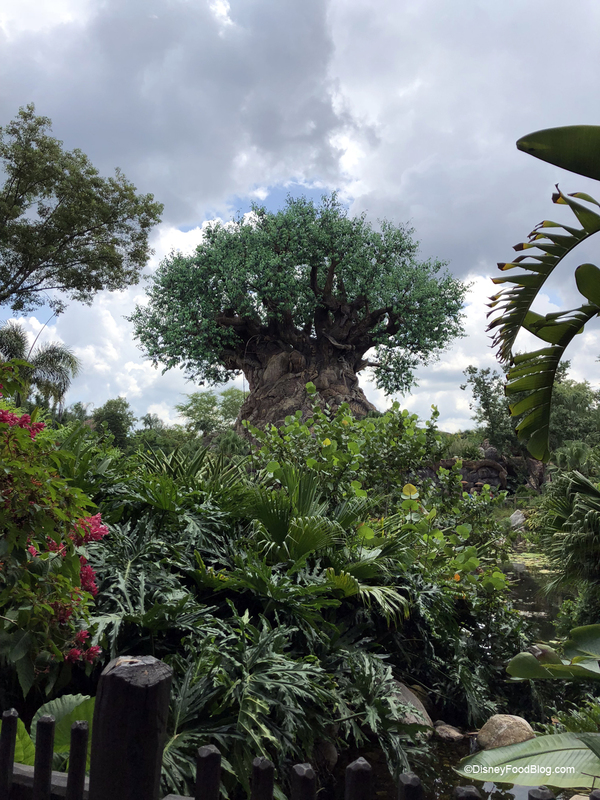 Sure, there’s plenty of new stuff to check out at Animal Kingdom these days, what with Pandora — The World of AVATAR still less than two months old. 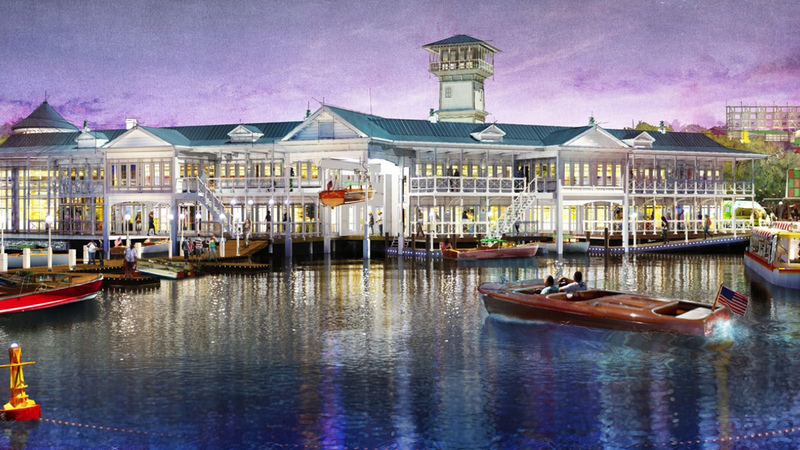 Let’s be real: the temperatures in central Florida can be downright stultifying. 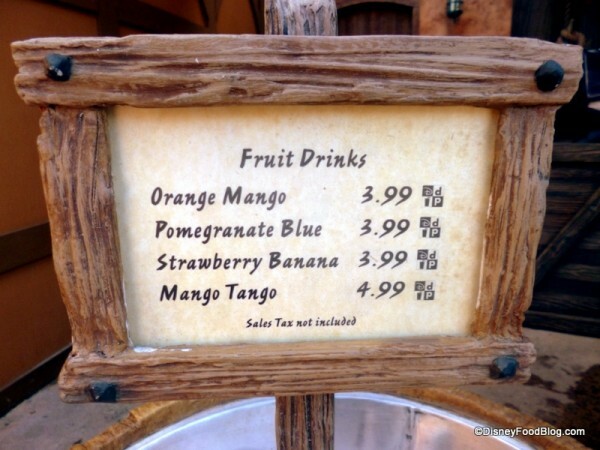 But thankfully, Disney has provided many, many, many options for ice cold refreshment. 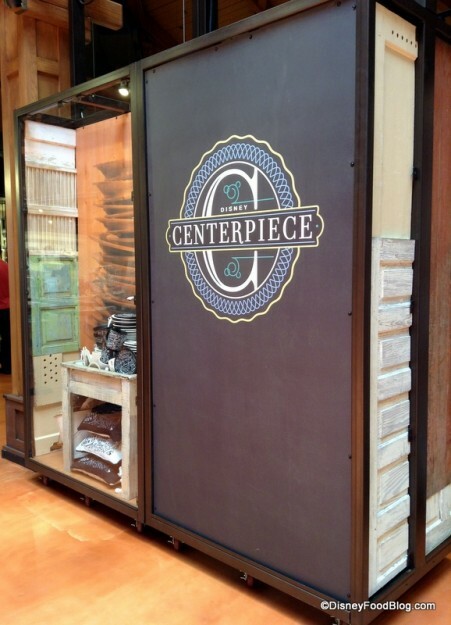 And if you’re in the World Showcase at Epcot, tons of these awesome options are just a short walk away. One of our favorites is located in the Japan Pavilion. Die-hards know it well — it’s Kaki Gori, and it’s a winner! 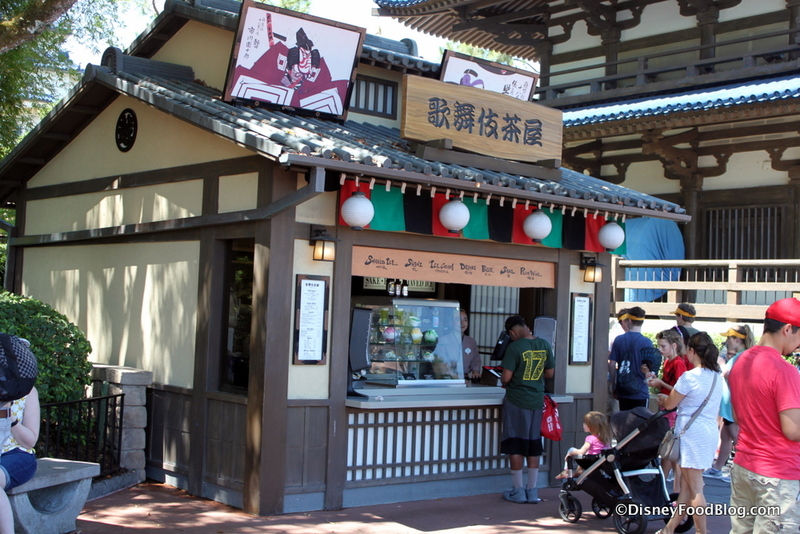 Kabuki Cafe itself is super cool, featuring architectural details in keeping with its pavilion. You’ll find clay tile shingles on the roof, and paper lanterns hanging from the eaves. Even if you’ve paid a visit to Disney’s Polynesian Village Resort, you may not be familiar with Kona Island. This pleasant little stop upstairs in the Great Ceremonial House sits directly next to a much larger restaurant: Kona Cafe. 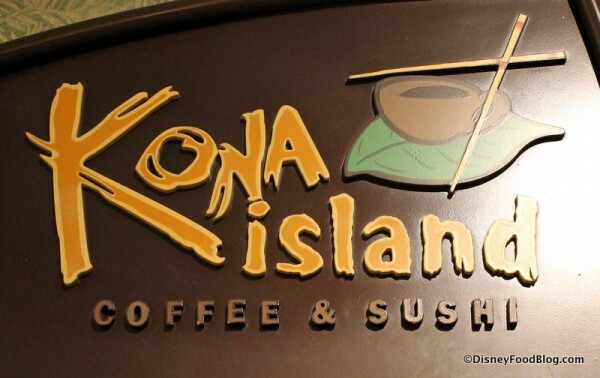 So it can be pretty easy to pass by — unless you are in the know of its reputation for being one of the places on property where you can enjoy some sushi, or even a press pot of Kona Coffee, brewed to order. 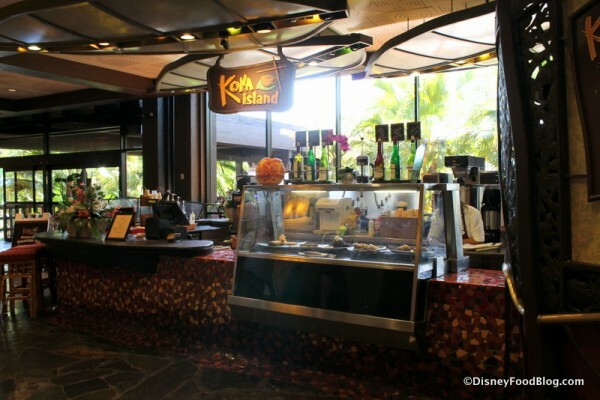 Kona Island was closed for a while in the late summer to accommodate some of the construction going on at the Polynesian (among those changes, the eagerly-anticipated addition of Trader Sam’s Grog Grotto to the resort). 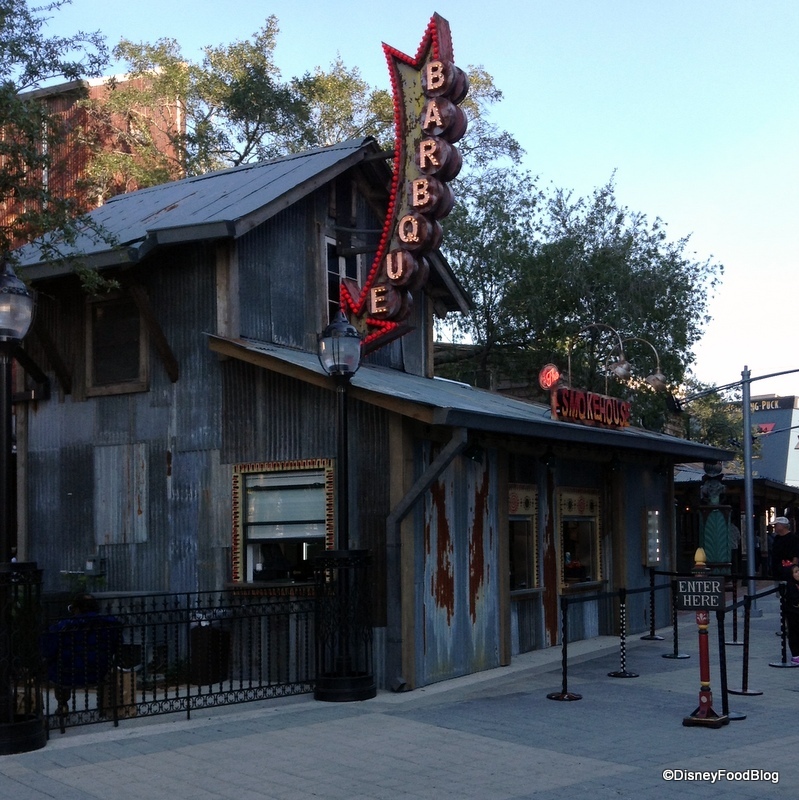 But it reopened by the end of September, and more recently I finally had a chance to stop by and sample something I’d been curious about. 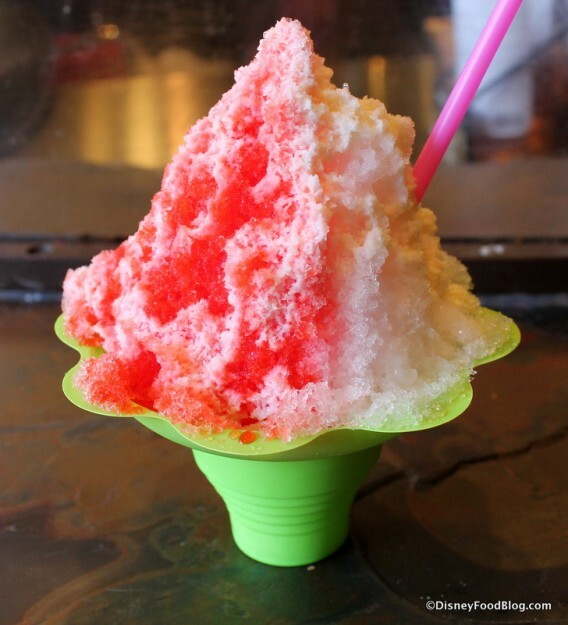 Hawaiian Shaved Ice is now part of the offerings. 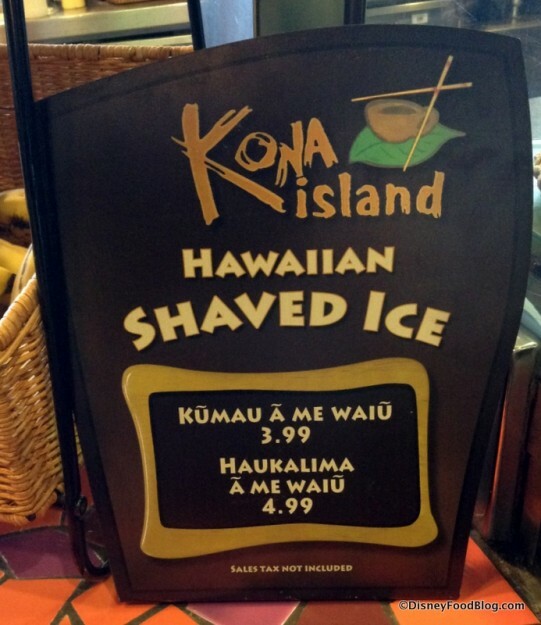 You can get all one flavor (“Kumau”) for $3.99, or a combo of two flavors (“Haukalima”) for $4.99. While flavors may vary due to available syrups, I was able to choose from eight on the day of my visit: orange, passion mango, cherry, coconut, blue raspberry, strawberry, pineapple, and pina colada. 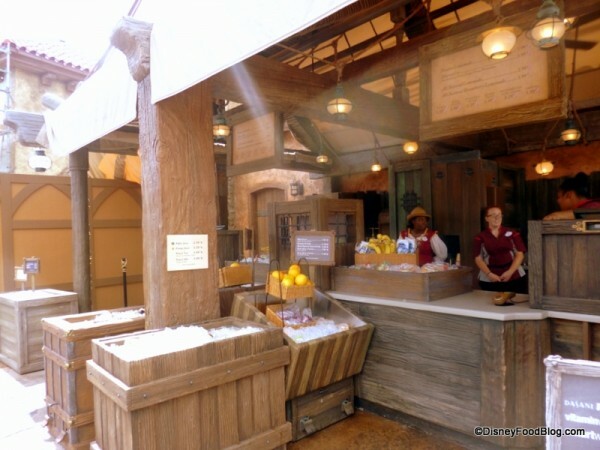 I could’ve happily tried all eight flavors (and many thanks to the extremely patient Cast Member who waited while I took a crazy long time to decide!). But I ultimately chose a combo of pina colada and cherry. 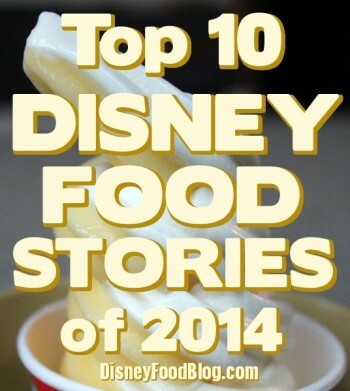 What’s New Around Walt Disney World: March 19, 2014! 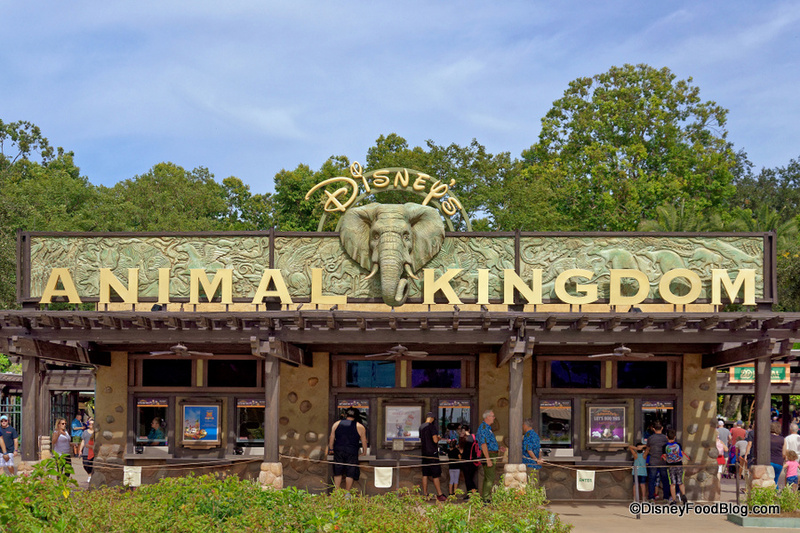 It’s time to take another stroll around Disney World and see what’s new and awesome! 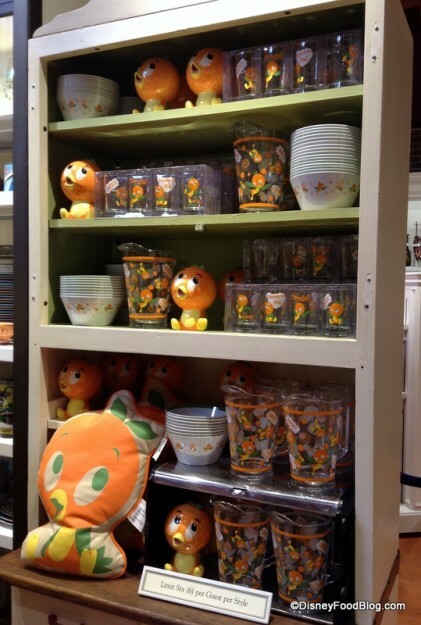 We’ve got parade pics, Olaf apples, Gaston-themed headwear, and more! Won’t you please join us 🙂 ? 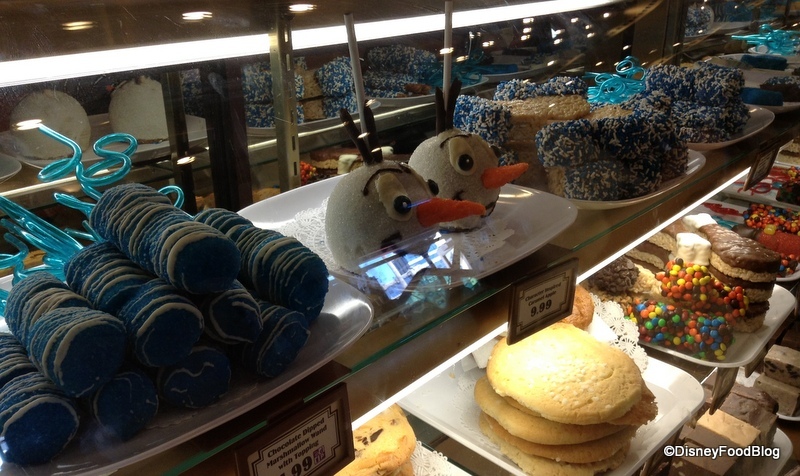 Everything’s coming up “Frozen” at Walt Disney World to celebrate the release of the movie on Blu-Ray and DVD. Olaf the Snowman has been bestowed a true Disney character honor… He’s now a Candy Apple! 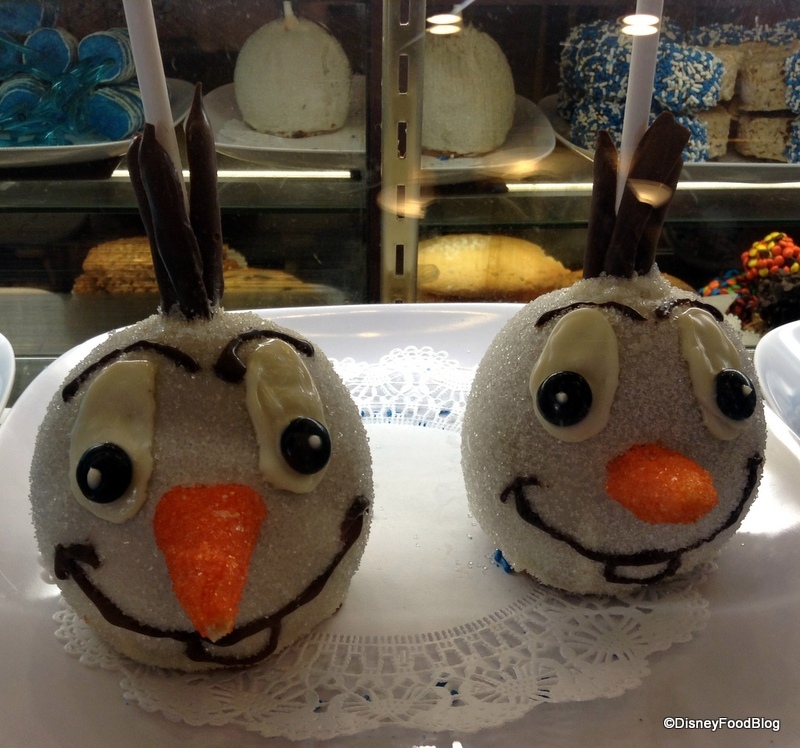 Keep an eye out for him in candy locations like Sweet Spells, Main Street Confectionery, Candy Cauldron, and Goofy’s Candy Company… I’m hoping he’s here for the long haul! You may also spy some favorite treats in a blue hue for a very limited time, including Mickey Krispy Treats and Marshmallow Wands. A recent walk around Downtown Disney revealed that the Disney Food Trucks are making their way around. 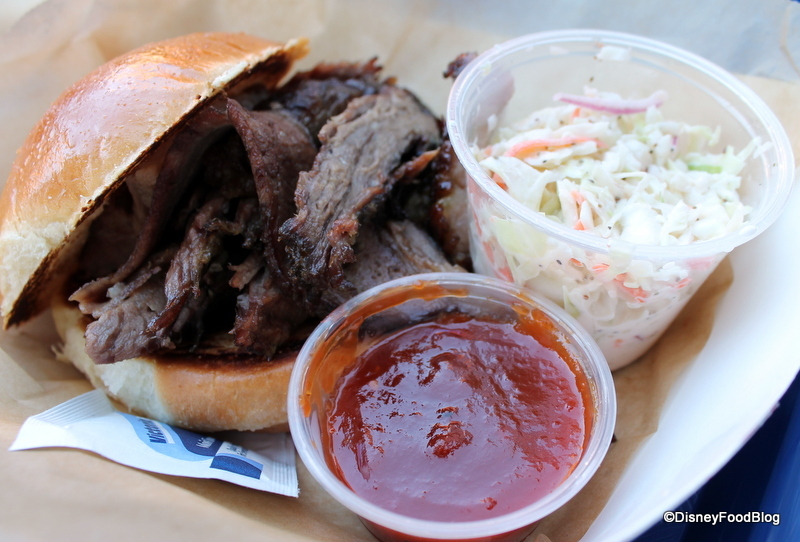 Previously housed primarily between Cirque du Soleil and House of Blues (and occasionally spotted in the grassy area next to Bongos Cuban Cafe), the Food Trucks we’re spotted in new and different places around the West Side. 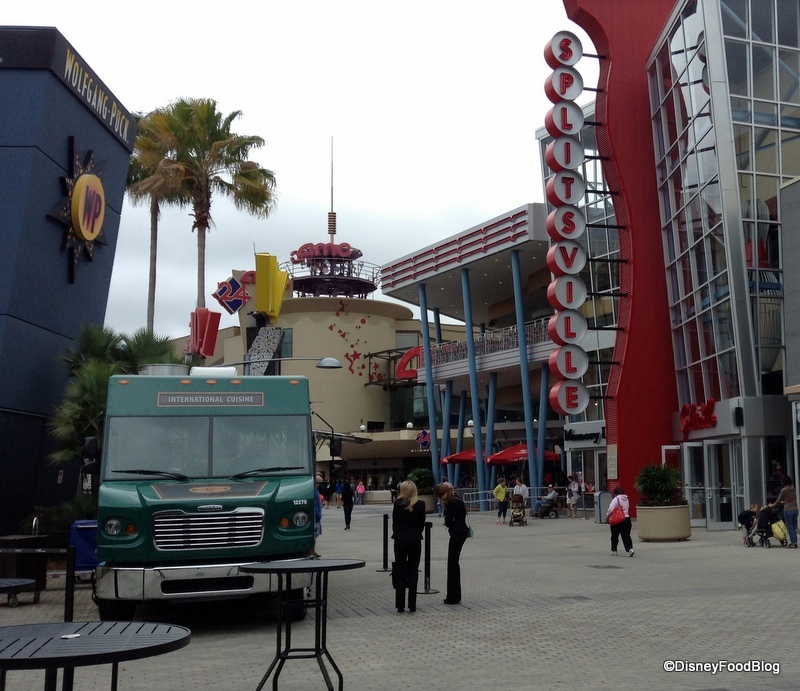 For instance, the World Showcase of Flavors truck was parked across from Splitsville. And Fantasy Fare has been spotted over in the Marketplace (this is the spot next to World of Disney where Santa’s Chalet can be found during the holidays). However, the one thing certain about the Food Trucks is that they are ever-changing 🙂 . 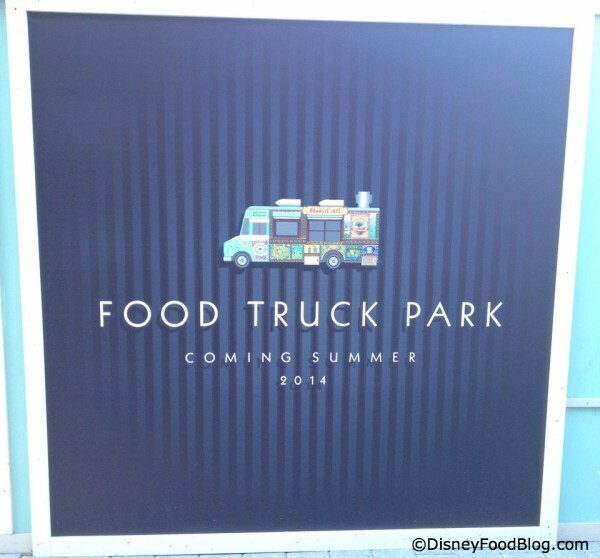 And we know something new is coming thanks to these Food Truck Park signs found around Downtown Disney. What’s to come? Only time will tell! 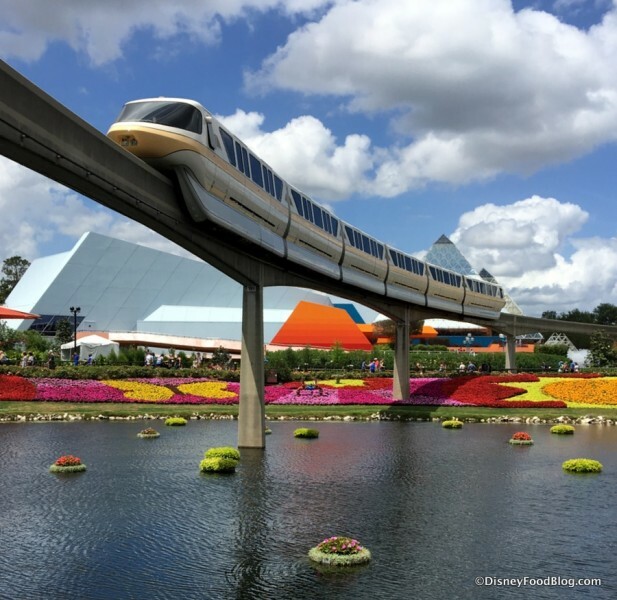 The first sure sign of spring at Disney World is the Flower & Garden Festival. 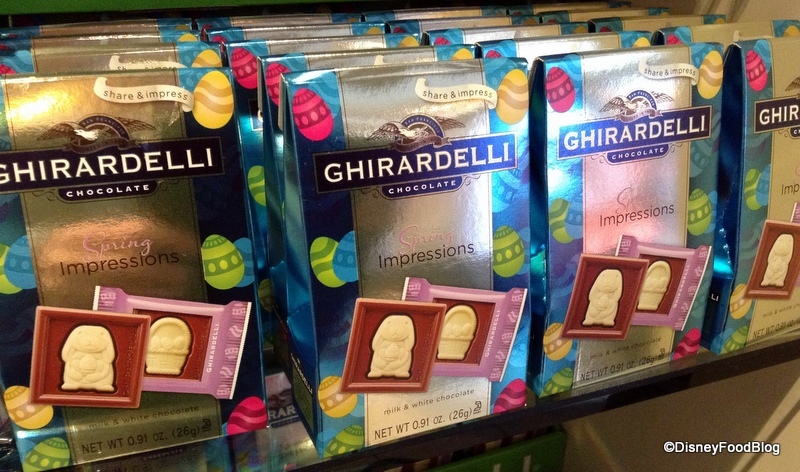 But a smaller sign is seeing all the things available to stuff your Easter basket at Ghirardelli. 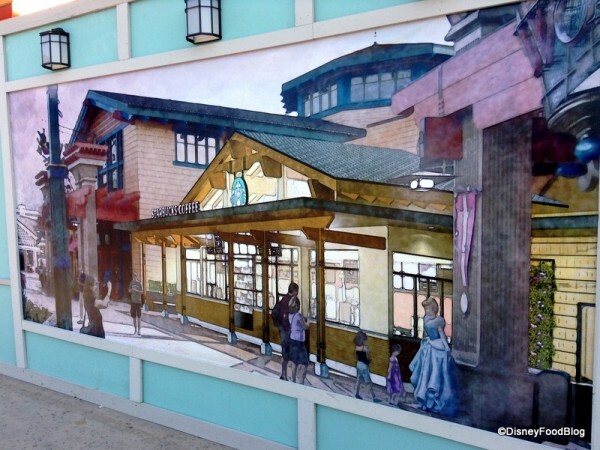 The Starbucks construction site on the Marketplace side is really starting to take shape. 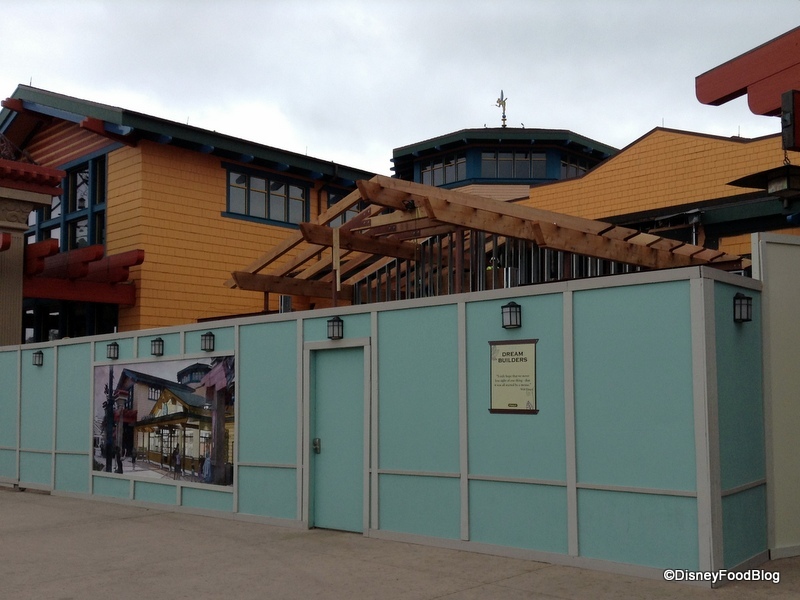 You can now see the triangular top peeking out above the walls, matching the “Coming Soon” artwork. 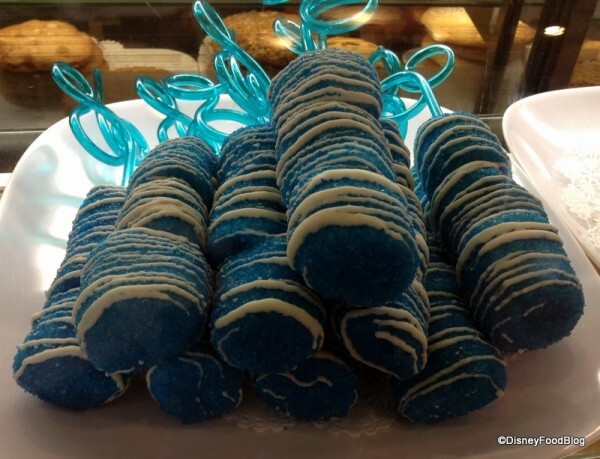 DFB author Wendy is back with a review of ANOTHER newly-opened Disney dining option! 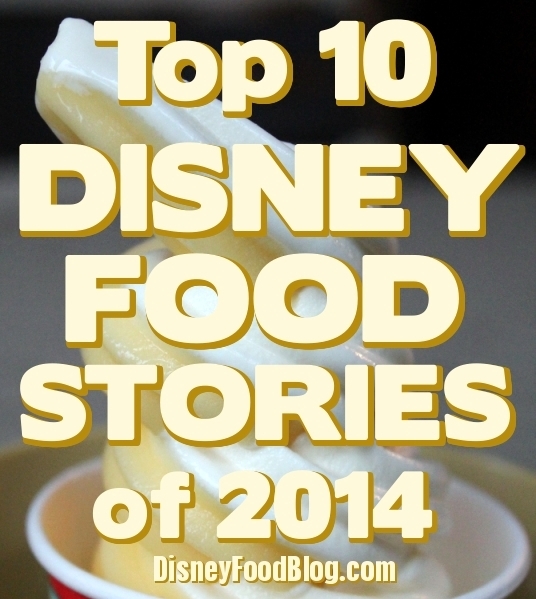 Let’s head over to the Magic Kingdom for a look… . 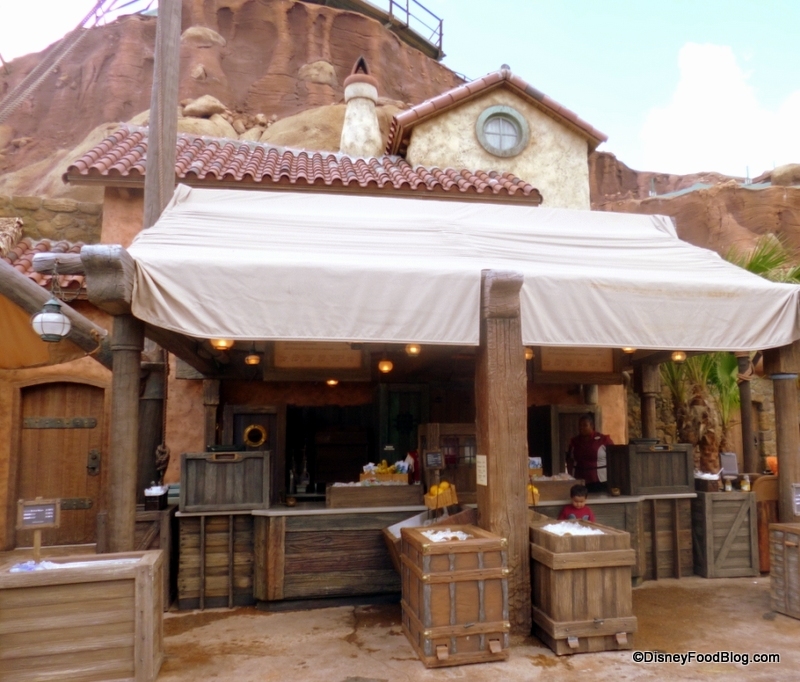 Prince Eric’s Village Market is now open in Magic Kingdom’s New Fantasyland at the base of the Seven Dwarfs Mine Train. 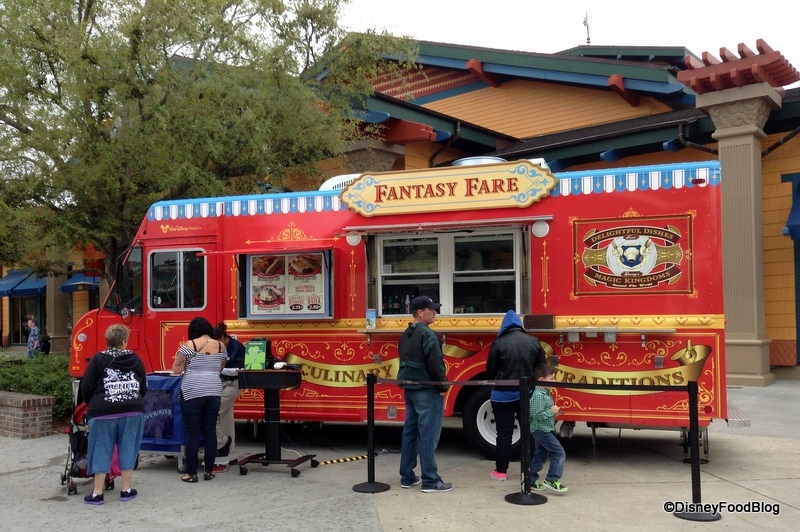 So if you’re looking for a cool treat on a hot day in New Fantasyland, you may want to make a quick stop at this new kiosk with refreshing snack options. Prince Eric's Village Market in NEW Fantasyland. 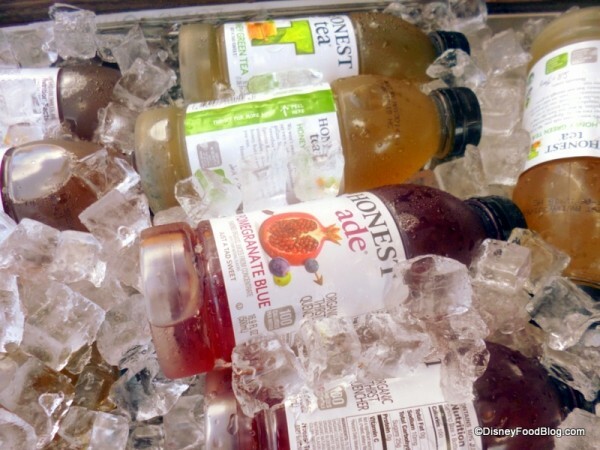 Prince Eric’s Village Market features ice-cold beverages like Honest Ade Iced Tea, apple and orange juices, Odwalla fruit drinks, Vitamin Water, and bottled water. 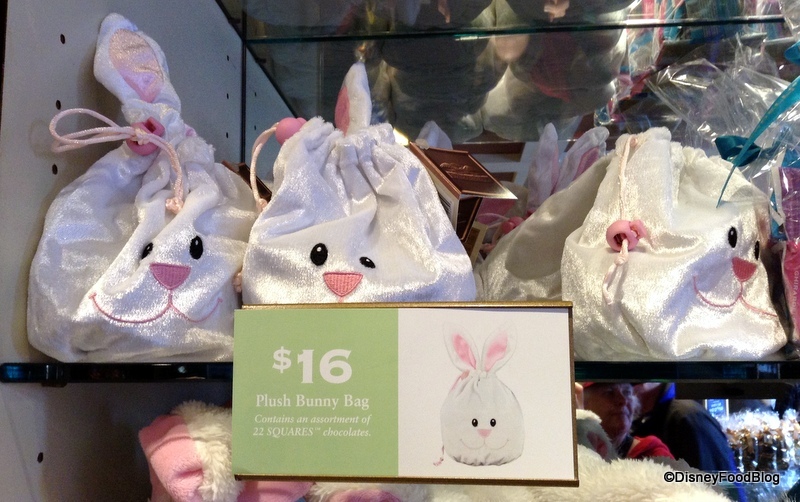 Ah… couldn’t you use a trip to Hawai’i right about now?? Yeah. Me, too. Well, today we’re gonna come pretty close by venturing virtually to Hawai’i courtesy of my awesome friend Eric! 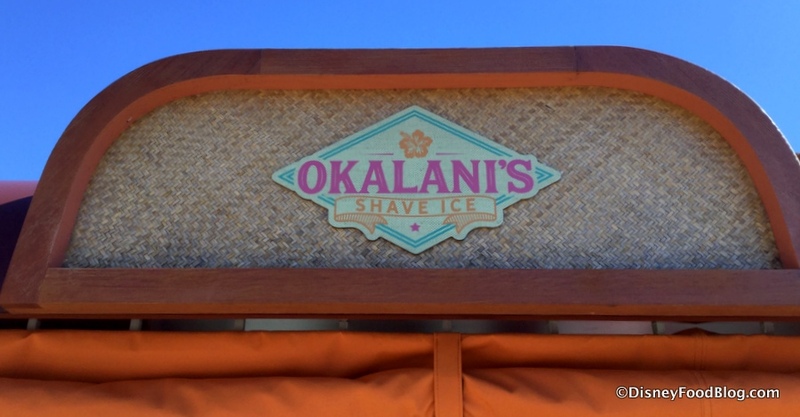 It’s time to talk shave ice at Disney’s Aulani Resort!